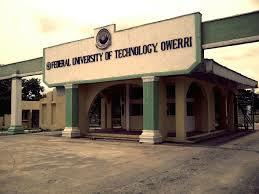 This is to notify the general public that the Management of the Federal University of Technology, Owerri FUTO has uploaded the UTME Merit admission list of candidates admitted into the various undergraduate programmes for the 2017/2018 academic session. a. Candidates are to visit the FUTO admission status checking portal at http://portal.futo.edu.ng/Modules/Admission/CheckAdmissionStatusRegular.aspx. Admitted Candidates are to proceed with the payment of acceptance fees here.